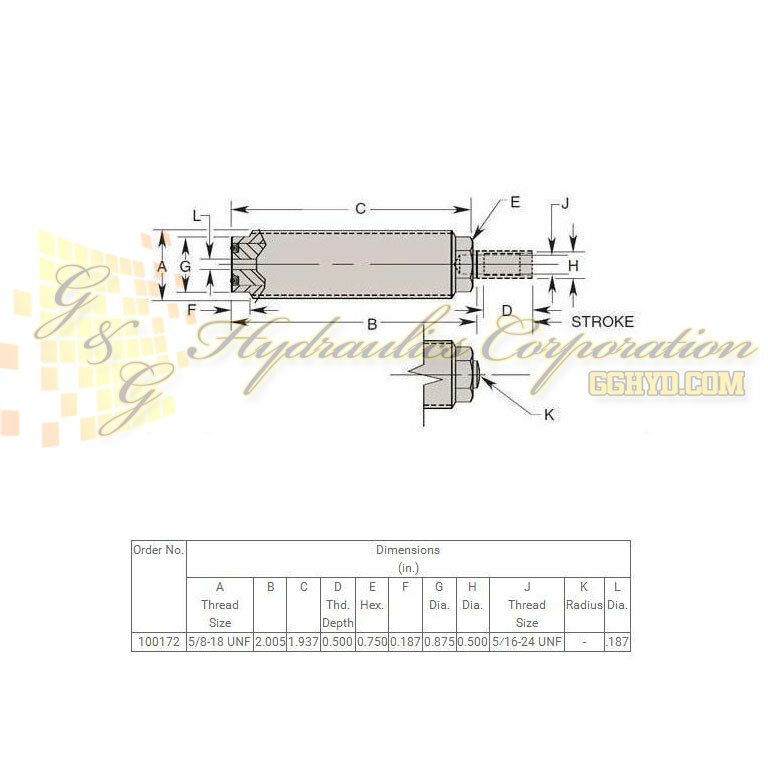 Part #100172 Hytec Threaded, Single-Acting, Spring-Return, Used with a wide variety of applications, Manifold or conventional mounting, heavy duty return springs, plated piston rod, Fine or coarse threads. 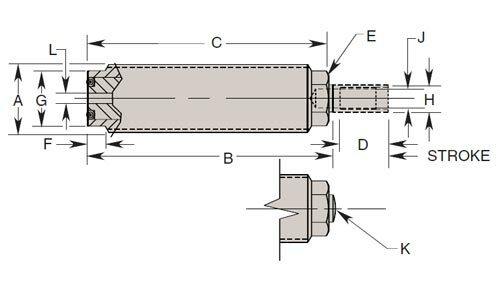 Our most versatile cylinder style, these threaded body cylinders are single-acting, spring-return, and can be outfitted for a wide variety of applications. Available in either Unified National Coarse or Fine threads, they’re ideal for manifold mounting, but can also be used for external plumbing connections when fitted with a feeder cap. Mounting brackets and jam nuts can be specified for added mounting versatility. 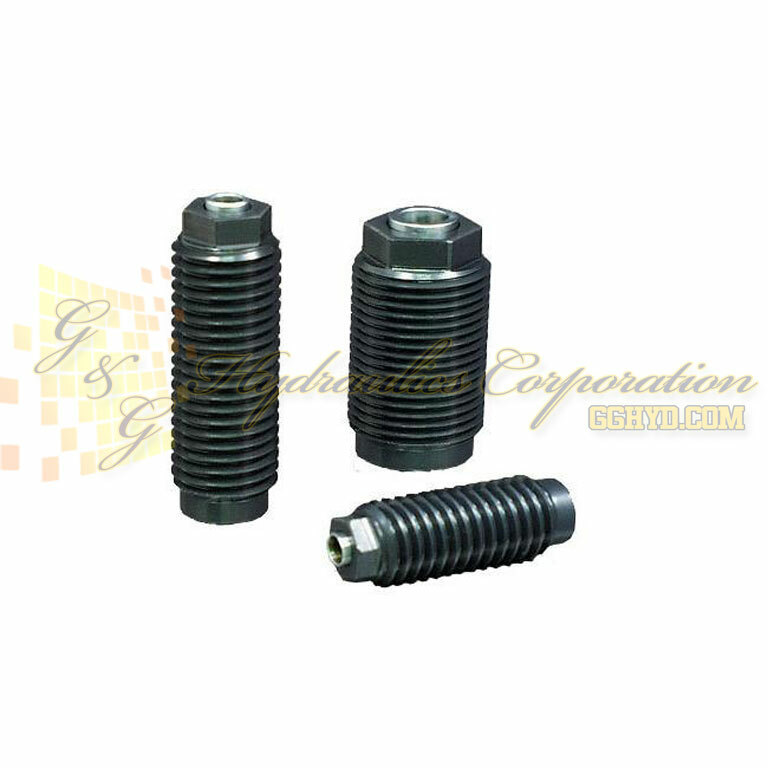 The threaded pistons will accept optional Hytec pointed or crowned threaded inserts, flat faced toggle pads, or you can custom design your own attachments. These cylinders should always be used with a threaded insert to prevent damage to the workpiece and the cylinder. Note: See Threaded Inserts (Crowned, Pointed, Toggle Pad), and Jam Nuts, and Mounting Brackets.